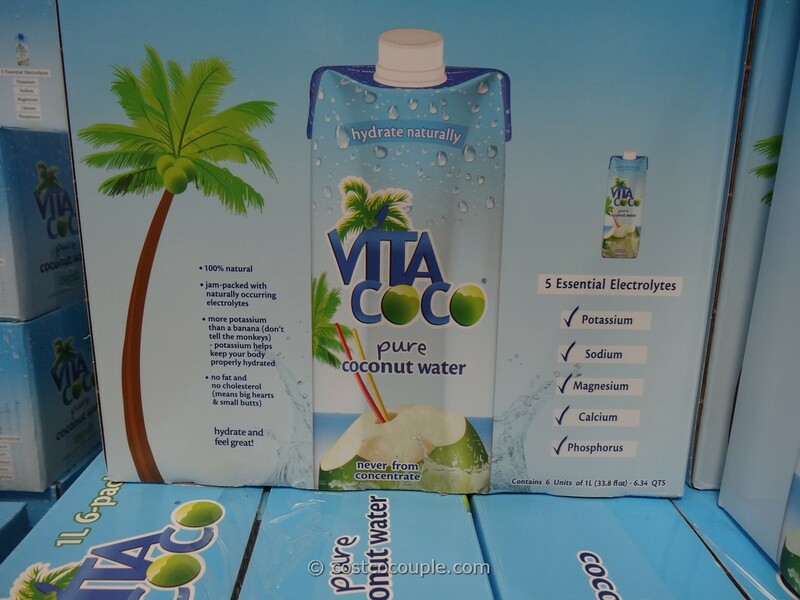 This item seems to occasionally appear and disappear from Costco shelves. 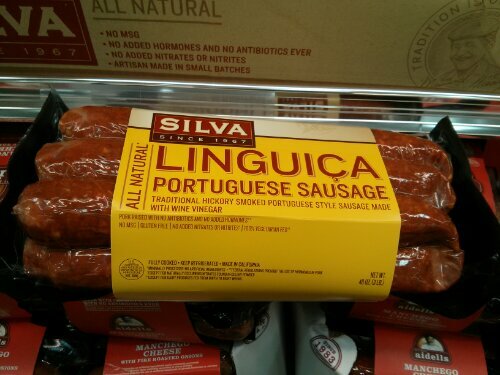 We bought a package of the Silva Linguica Portugese Sausage about a month ago. 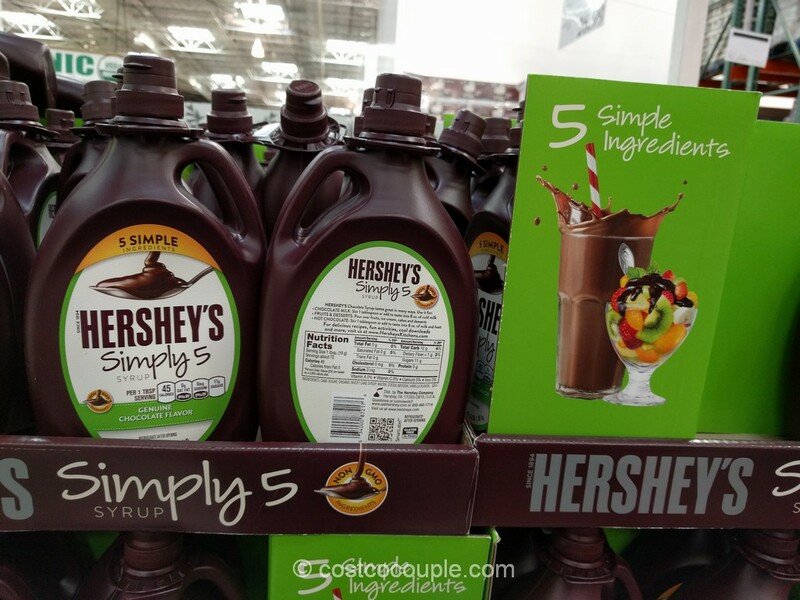 Since then, we couldn’t find it again at Costco. 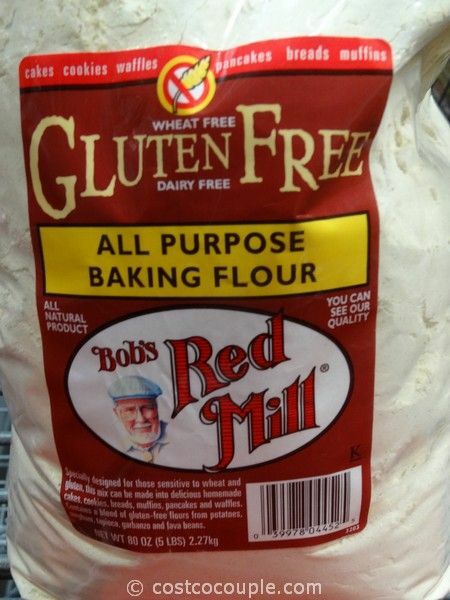 But this past week, we noticed that it has reappeared on the shelves. 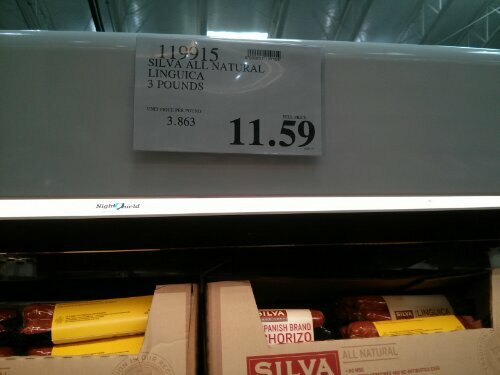 It’s sold in a 3 lb package for $11.59. 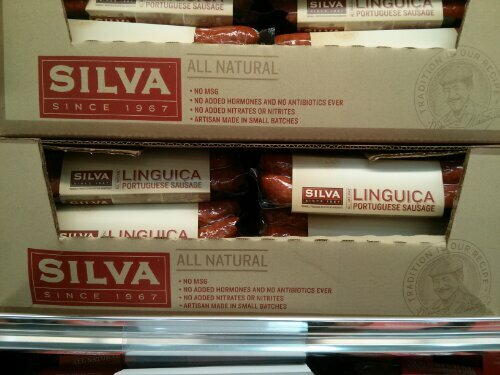 This is a mild, not spicy, but very flavorful sausage. It’s hard to stop once you’ve started eating it. 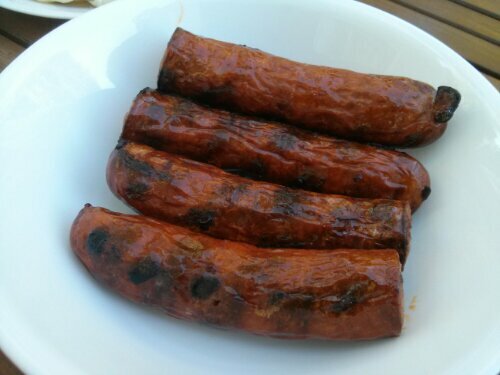 I didn’t think I’d like it as much as I did since my favorite sausage is the New York Italian Style Sausage in spicy flavor.